Has a disagreement with a colleague ever blown up in your face? Perhaps you put off addressing employee problems because you weren't sure how to bring them up. Perhaps you'd like to give your boss some helpful feedback, but are concerned about the reaction you might get. Because difficult conversations can feel uncomfortable and hazardous, we tend to avoid having them. However, delaying the discussion often makes the situation worse, sometimes resulting in serious business problems. The secret to successfully handling these tough topics is learning to talk about them in the right way. Instead of producing defensiveness and arguments, a well-managed discussion can lead to mutual understanding and productive collaboration. You can also pose your management question directly to Marie McIntyre. And because this is a webinar, there is no limit to the number of colleagues you can invite to sit in on this interactive event. P.S. Early Registration Bonus. The first 50 people who sign up for Conflict, Criticism & Sensitive Subjects will receive our Special Report Difficult People at Work. Discover how to identify and manage the 24 most challenging personality types! Difficult People at Work gives you proven, practical strategies you can use immediately to put problem people in their place. This all-time top seller (a $39.95 value) is our gift to you – if you are among our first 50 registrants. P.P.S. Extra Added Bonus. 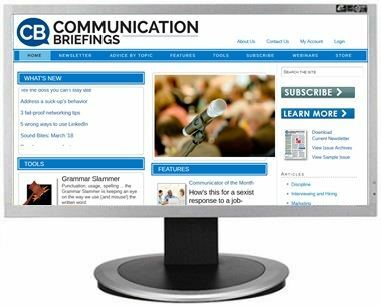 You'll also receive one month of members-only access to CommunicationBriefings.com – our comprehensive online resource designed to make you a stronger, better-prepared manager. 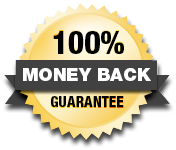 So that you continue to benefit from CommunicationBriefings.com, we'll continue your access automatically for just $97 per quarter, unless you tell us "no, thanks" – your choice. P.P.P.S. We promise you'll be satisfied. 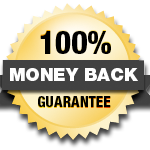 If Conflict, Criticism & Sensitive Subjects fails to meet your needs, we well refund 100% of your tuition – no hassles, no questions asked. Your course materials, website access and early registration bonus are yours to keep.